With the cool and windy weather on the outskirts, I decided to fire-up my oven for a comforting meal. 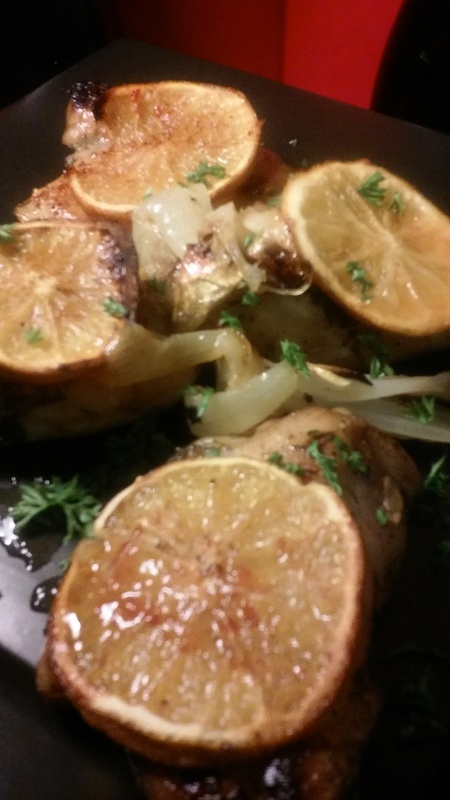 Had all the ingredients on hand and decided to make an orange-roasted chicken with onions. The Florida oranges were at their peak and ready to be had. So, I sliced and placed them on my chicken thighs and drumsticks that were previously seasoned with crushed garlic, thyme, rosemary, salt and pepper. Chicken was roasted for approximately 45 minutes at a temperature of 365 degrees fahrenheit. The orange slices released its citrusy juice which was absorbed by chicken parts. An orange glaze was placed on chicken. This consisted of a little ketchup and a sprinkle of sugar and of course freshly squeeze orange juice. An additional 10 minutes was given to cooking time at an increased temperature of 400 degrees. This move provided a brown exterior to chicken and caramelized orange slices and onions. No chicken should stand solo. Thus, I served orange chicken with a creamy polenta simmered in coconut milk. 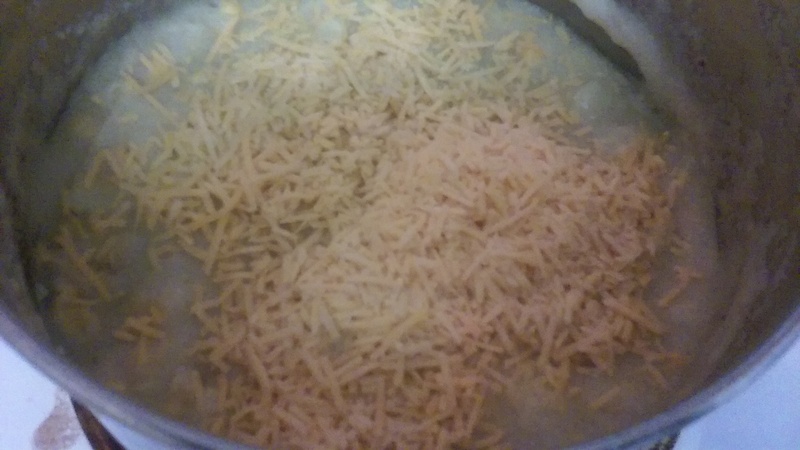 I also tossed in a few loose crispy corn and sprinkled with parmesan cheese. In addition, I served dish with garlic-flavored asparagus and broccoli.